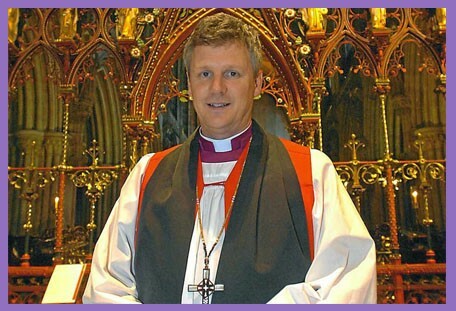 For many clergy (perhaps too many), the attainment of a senior ministry position is evidence of godliness, holiness and spiritual ability in leadership: one becomes a dean, then perhaps a suffragan bishop, then a diocesan and then (please God) one of the big three – Londin, Ebor or Cantuar. If you’re very godly and holy and spiritually gifted in leadership, you might skip any of these usual rungs and be expedited to a top job. Holding fast the faithful word as he hath been taught, that he may be able by sound doctrine both to exhort and to convince the gainsayers (Titus 1:7-9). Government of the Church is a gift of God to certain individuals who are called and qualified (1Tim 5:17; Rom 12:8; Heb 13:7, 17, 24). How much chaos and tragedy befalls the Church when it is led by those who are not called or qualified! And character is as important as charisma: when God says an Elder must… there is no room for negotiation: these things are necessary and binding because Elders lead the flock and are examples to others in discipleship and the work of mission. How can a leader lead others in obedience if there are questions about their own obedience to the Word? This is a true saying, if a man desire the office of a bishop, he desireth a good work (1Tim 3:1). To desire is to reach out, to long for, to covet, to stretch oneself: it is a deep inward drive or impulse to equip oneself for leadership ministry. This is a good work, an excellent task. It is not for earthly status, titular flattery or personal glory, but for work (cf Mat 23:1-12; Job 32:21f). And there is no greater work or more urgent a task than that of preaching the gospel and making disciples. 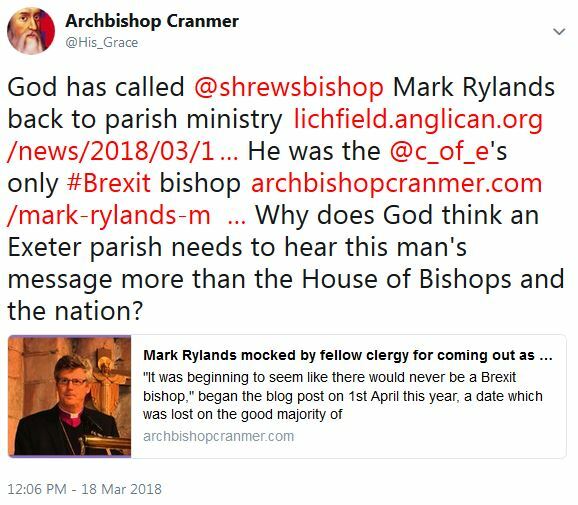 By all accounts, Mark Rylands is a man of integrity, compassion and mercy. He is vigilant, temperate, just, holy and hospitable. He is irreproachable and an example to the flock of God. He is free from the taint of scandal and accusation; above reproof, rebuke or reprimand. By laying down his area bishopric, he shows the world that he is not self-willed, arrogant, stubborn, self-conceited or egocentric, but humble and willing to surrender to God’s will. 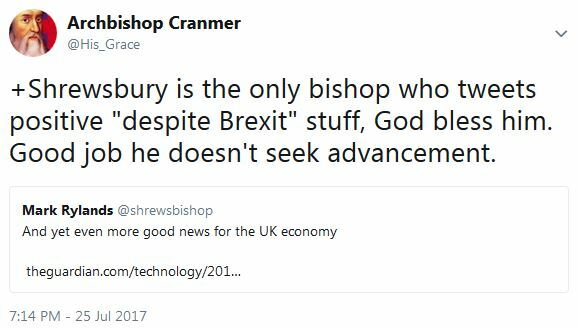 He is, in fact, just the sort of man God might call to be an archbishop.